The Salvation Army's 23rd Annual Angel is at the Bangor Mall. Provide Coats and Toys for local children this Christmas. community who can't afford Christmas. Have you ever wanted to make a DIFFERENCE in someone’s day? Join Solution FM and bless someone with a simple Act of Christmas. Print off the Drive Thru Difference card. Then, when you head to the Drive Thru, simply pay for the person behind you. Give the cashier the card and ask them to give it to the person that you just treated. Your kindness may encourage others to do the same! Were you blessed by someone doing the Drive Thru Difference? Share your story with us! CLICK ON THE PICTURE FOR YOUR DTD CARD! Give the gift of life! 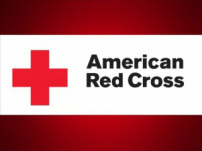 The American Red Cross is offering an incentive for blood donations this month. All through December, donors will receive a coupon for a free 6-inch sub at participating Subway restaurants.